Rum is a distilled alcoholic spirit made from the byproducts of the sugarcane. It can be made from the molasses byproduct or the sugarcane juice. The distillate is clear then is usually aged in oak barrels to add flavor and deeper color. Most of the world's rum currently comes from the Caribbean, Puerto Rico in particular, and Cuba, though distilleries in other parts of the world are beginning to produce local varieties thanks to the upsurge of interest in craft cocktails and premium spirits. WHERE DID RUM COME FROM? Though some precursors of rum date back to ancient India and China, the invention of modern day rum was a direct result of the waste from producing sugar from sugar cane. Molasses, a liquid that would seep out of the sugar, was actually considered waste and thrown out during the 17th century. Someone, we'll probably never know who, got the brilliant idea of mixing this molasses waste with the cane juice skim off, went and fermented it and rum was born. The word "rum" itself might have stemmed from the Latin word for sugar which is "saccharum" or it might have come from the Romani word "rum" which translates into strong or potent. References in print range back to 1654 when the General Court of Connecticut ordered "whatsoever Barbados liquors, commonly called rum, kill devil and the like" be confiscated. The Royal Navy was drinking rum in Grog and pirates consumed it in Bumbo as far back as the 1600's. In point of fact, the Royal Navy at one time dolled out a "tot" daily to their sailors called the "rum ration" as part of their pay. 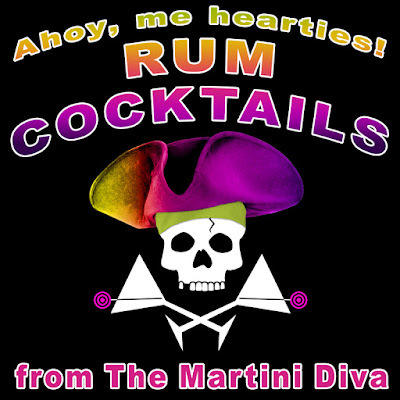 As stated above, rum was a favorite of the Royal Navy, privateers and the Pirates of the Caribbean (sorry, had to say it), but it was also a huge tipple of colonists in early America. It was a cheap and flavorful alternative to the brackish and even dangerous drinking water the colonists had access to, mixed well with the ales and beers of the day and was easily attainable. However, rum really came into it's own in the United States was a direct result of Prohibition and Americans traveling to Cuba for the cocktails, casinos and cigars. It was soon being smuggled into the states and rum-running was born. WHAT ARE THE DIFFERENT TYPES OF RUM? 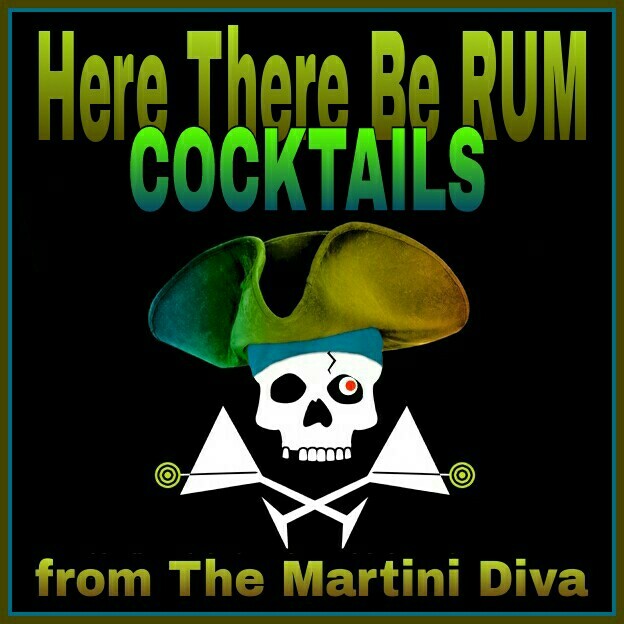 There are four (4) different types of rums, not including the flavor infused varieties or the overproof rums. Each category of rum has it's own distinct flavor and usages. WHITE RUM, also known as light or silver rum, is filtered multiple times and as a result has very little color. Most light rums are from Puerto Rico and because they are milder in flavor are favored for use in cocktails like Daiquiris and Mojitos. Light rums are usually the least aged of the rums and are not favored as sipping spirits. Bacardi is the most well know, and the original brand, in this category. GOLD RUM, also referred to as amber rum, are aged longer than white rums and as a result they have a darker hue from the cask aging. Gold rum is sweeter and deeper in flavor than white rum. Bacardi, again, is the oldest and most well know in this category. DARK RUM, also called black or red rum, has been aged the longest of the rums and has a dark color and deep, smoky flavor as a result of the time spent in the wooden casks it ages in. Because of the depth of flavor, dark rums are favored in Tiki drinks. Myer's Dark Rum is the most well known of this category. SPICED RUM, made mostly from the gold or dark rums then infused with spices, sometimes added colors and additional flavorings. The most familiar brand here is Captain Morgan. 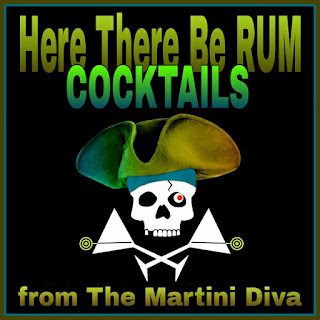 As for the flavored rums, those come in just about any flavor and combination you can imagine from a number of distilleries. Overproof rums are higher proof varieties with an alcohol content higher than the normal 40% (80 proof) spirit. The most familiar of these is Bacardi 151. The overproof rums are most often employed as a float and are very popular in flaming Tiki cocktails. 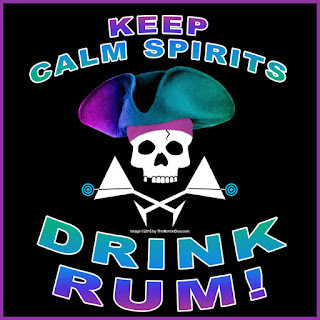 RUM, THE CURE Rum has been used as a medicinal cure (the above mentioned grog was used as a preventative for scurvy), is highly favored as a cooking ingredient and is often used as the base for culinary flavor extracts. In fact, you can actually use rum in place of vanilla extract! White Christmas Martini Fifteen men on the Dead Man's Chest.